Finally, those sporting a Windows Phone flavored handset will have the opportunity to understand what the excitement is all about, when it comes to Candy Crush Saga. The very popular game, developed by King, is now available from the Windows Phone Store. While the game is free to download, there are a number of in-app purchases that make it easier to play. 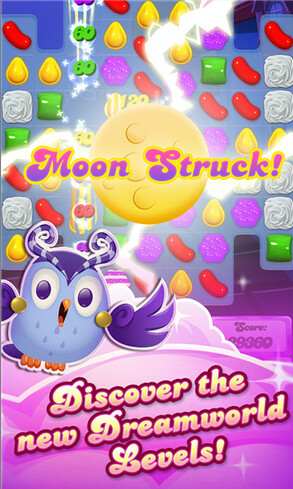 Candy Crush Saga is even compatible with Windows Phone models sporting just 512MB of RAM. That means that those rockin' the most popular of all Lumia models, the low-end Nokia Lumia 520, will be able to crush candy along with all of the other Lumia owners. 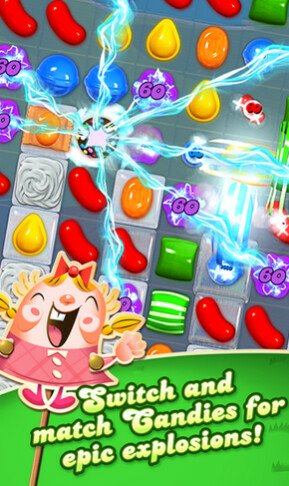 Candy Crush Saga for Windows Phone features hundreds of different levels, with two more added every other week. You can also sync the game between your devices, and help unlock "full game features" when connected online. Yes, this is the very same game that both men and women are wasting their whole day playing, often in chunks measured in hours at a time. 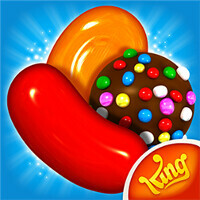 After getting millions of iOS and Android users hooked, Candy Crush Saga comes to Windows Phone. Don't say that we didn't warn you. Husbands, prepare to come home from work to uncooked dinners. Wives, better make sure that your batteries aren't dead. Once someone starts to play this game, it will consume them. I don't. After living in tech for a carrier and seeing the amount of stuff iOS and Droid users put up with, I don't feel sorry one bit. Granted I have enjoyed wp since wp7, had the HD7 and now on a 1020/925 house combo. I still use android, nearly have to with my job, have had up to a dozen androids for personal use and over a dozen more in a daily work environment where I get paid to play with the phones and testing other agents. This is what iOS held over androids head not so long ago, now they are up there. We should see this momentum build into one app store for windows 10. I went to the app store, saw this, and I was kinda amazed, like "oh what Candy Crush? Is it the real one though? Yea? Cool!" I don't even play this game anymore to be honest, but it's nice seeing it there. Very funny! Hurrycanger. Same reaction here. why the h*ll do you use windows phone? .. someone who has used androids and ios using wp wow .. you must be one heck of a guy to still love nokia "connecting people" do they still put it when the phone boots?lol it's been years since my last nokia .. I got tired of baby sitting android, rooting lost its 'pizzazz', and because my job has me using all 3 OS's. I did not get my first windows nokia till the 925, i had a few others from htc before. So this is not about loving Nokia, but liking the OS and Nokia having the better hardware when i was in search for another device for windows. Up untill about 3 weeks ago, i had a note 3 i lugged around daily. lol my Nexus 5 is collecting dust right now while I went BACK to my older Lumia 925. I have consolidate my work and personal phone to be on ONE device. WP handles both worlds separate, yet organized and complete... My live tiles allow me to know what is happening in both POLARISING spheres of my world. I also don't feel sorry for selling my 630. Useless piece of crap that was. About as worthless as every other did in its price range. I don't do any mobile gaming at all. All gaming on the go is either 3DS or Vita. I just like to see one less thing people will complain about. Is it anything like the desktop version? Lol, no wonder I didn't see any review at all when I downloaded it 15 minutes ago. why does windows phone receive apps when they're not "rocking" anymore .. what's next? subway surfers, maybe? lol, 100% true. I wonder what's coming next .. umm maybe angry birds? oh wait they have it? We have that as well. With Xbox live support to boot. ohhhh windows phone is rocking. long live the 50$ Lumia 520! they have angry birds, subway surfers and now candy crush saga! 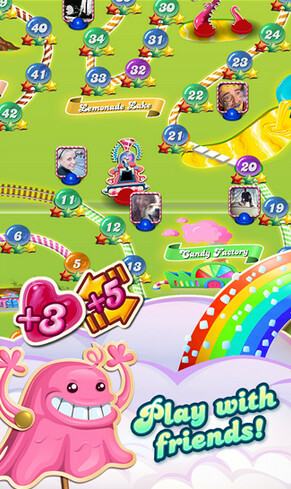 Playing Candy Crush on a dual core 512MB RAM WP is damn sloooooooow.